F for FRIDA. The mythical name Frida is Old Norse, meaning “lovely one”. It was very popular around the turn of the century. We all remember Frida from the pop group ABBA – (who was actually christened Anni-Frid). The ideal bead to personalise your own Trollbeads bracelet or to give to a friend. 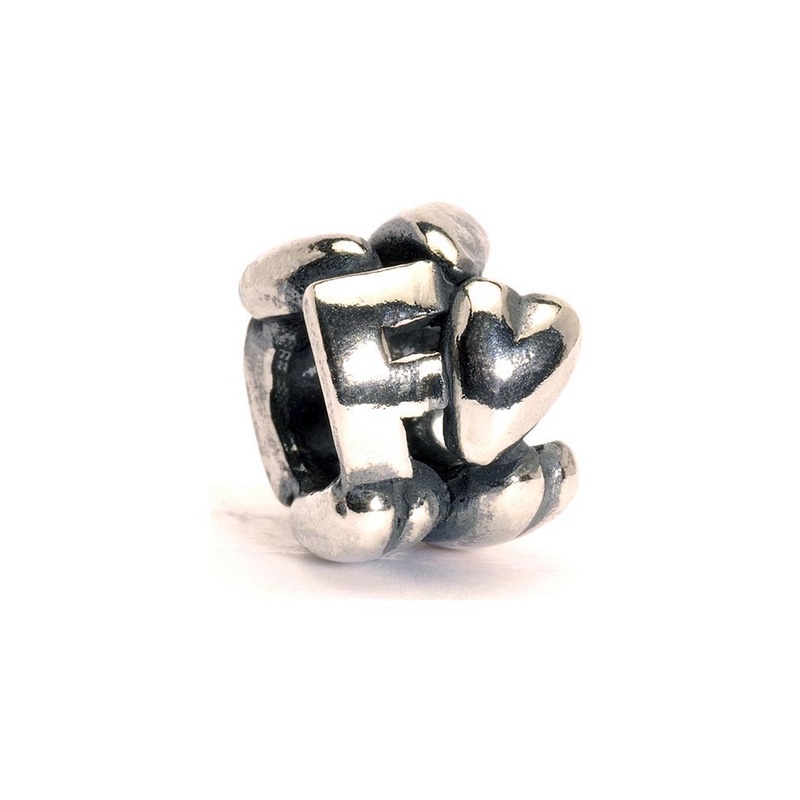 Made in sterling silver, this bead features small decorative hearts surrounding the initial F. This product is wrapped in official Trollbeads packaging.